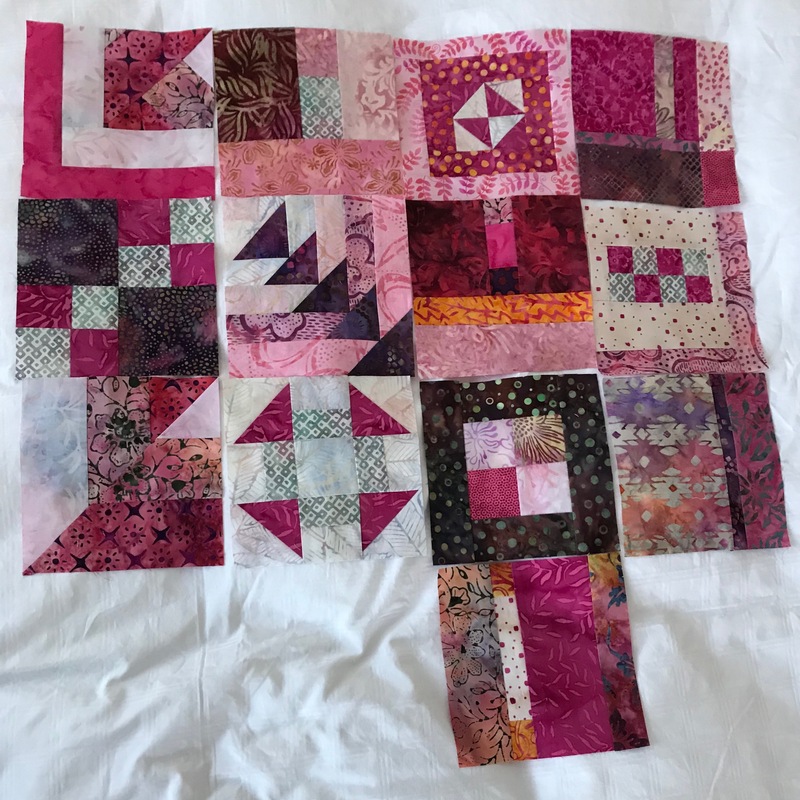 What’s going on here is a lot of improvisation – some “standard” blocks accompanied by a lot of using up scraps to end up with 6 1/2″ x 6 1/2″ blocks. 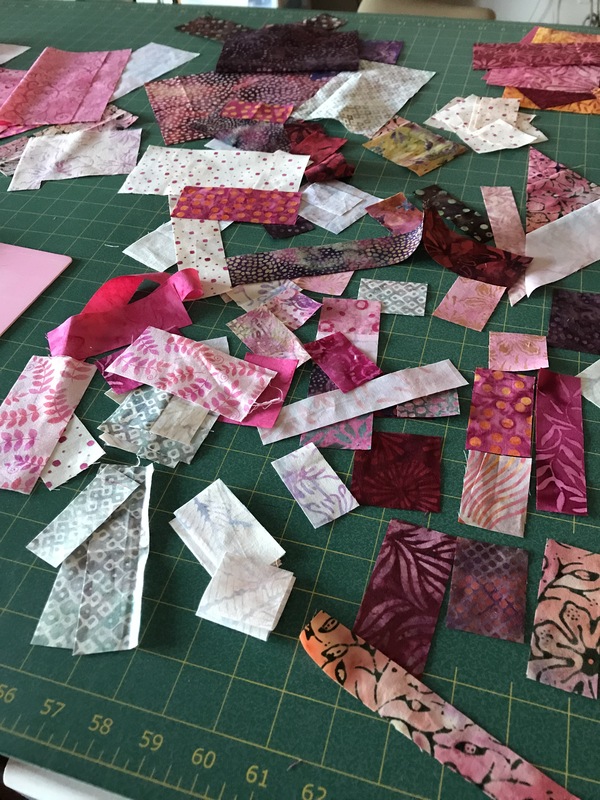 The challenge is having enough light pink batik – I’ve got lots of mid-range fabrics and enough dark. I’m running short of the lighter values and without the light the blocks aren’t going to work. I may have to resort to a few printed fabrics – I’ve used just two so far and am trying not to use more but I may be forced to. This is what my cutting table is looking like at the moment. I’ll clear it up (actually throwing out pieces that are too small or narrow to be useful) when I get back from some errands.